Last week I had the opportunity to meet someone I first interacted with on this blog. This is the first time my "blogging life" has intersected with my real life. 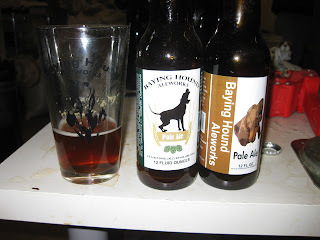 I was visiting family near Silver Spring, MD who live a short drive away from Baying Hound Aleworks, who we recently interviewed as part of our nanobrewery series. 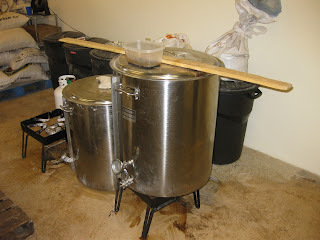 I contacted Paul Rinehart and he graciously agreed to let my family and I visit his brewery. 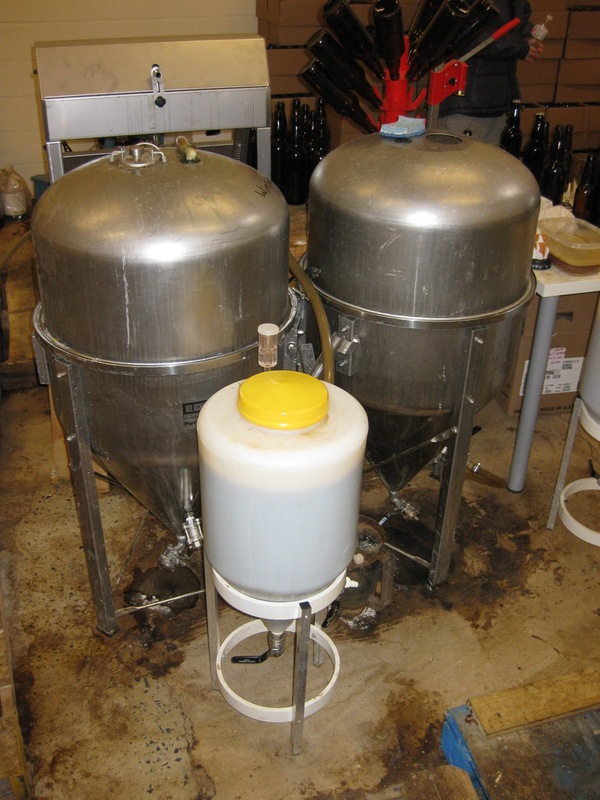 Must consume [beer] at least once during bottling and/or brewing. No burping unless you can't help it. When in doubt, have a beer. 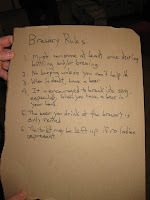 It is encouraged to break into song, especially when you have a beer in your hand. 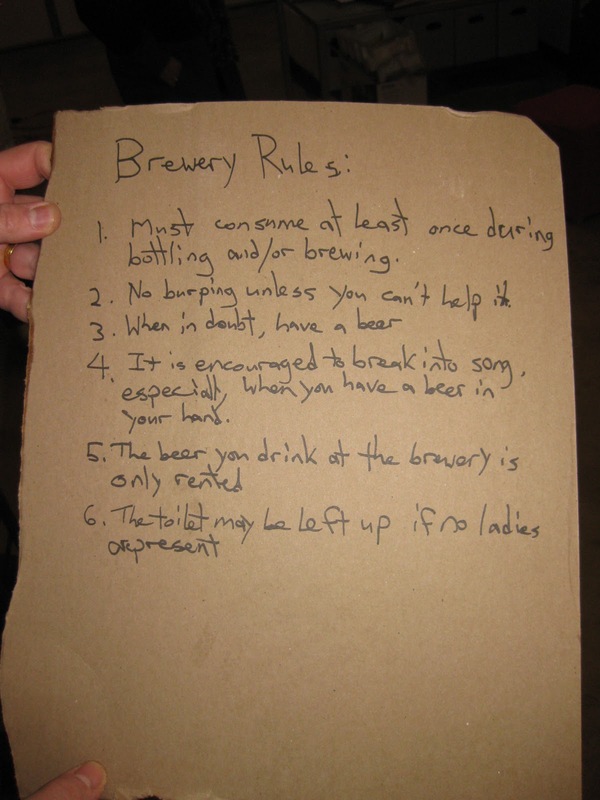 The beer you drink at the brewery is only rented. The toilet [seat] may be left up if no ladies are present. Here are some of the pictures I took at the brewery. Thanks to Paul and Hank for sharing their beer and stories with me. The visit was definitely a highlight of my holiday travels.